5. 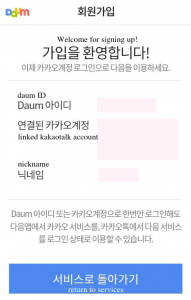 You will be redirected to your kakaotalk account and it will be automatically linked to daum. 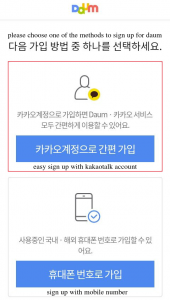 Select kakaotalk account and collection & use of personal information. Click accept. 6. 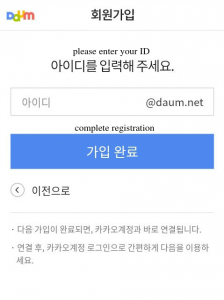 Click on the "I do not have a daum ID" option if you are registering to daum for the first time. 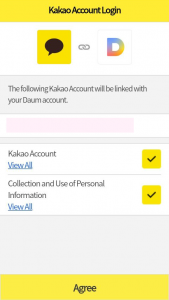 (If you already have a daum ID and merely want to link your kakaotalk account you can click the "I have a daum ID" option). 7. 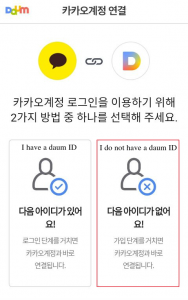 Choose a daum ID and enter it into the appropriate field. 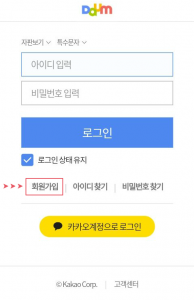 Then click '가입완료' to complete your sign up. 8. 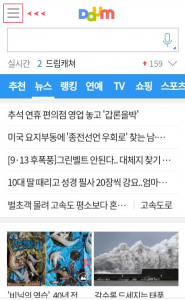 You have completed your registration to daum! 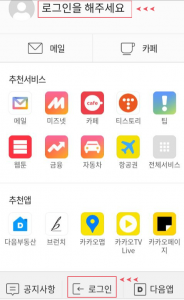 You will see your daum ID, kakaotalk account and nickname.